We are your Complete Cleaning Service in Muskoka! 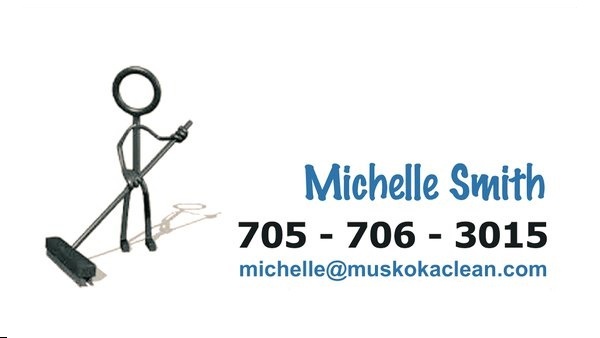 Welcome to Muskoka's premier cleaning company! Cleaning out of all the major hubs in Gravenhurst, Bracebridge, Huntsville, Muskoka Lakes, Port Carling and Rosseau. Our professional and trained cleaners want your dirt! We are constantly striving to maintain and improve our reputation while delivering affordable and confidential cleaning services to Muskoka residents, businesses and visitors. Safe and Sound! Locally known and trusted..
We care about your health and the environment. Which is why our professional home cleaning service only uses non-hazardous, non-toxic, environmentally friendly products that are safe for your children, pets and the atmosphere. With this care comes a deep respect for your home or cottage and possessions. Our attention to details, care and respect for your home, provides you the very best cleaning results! Don't want harsh chemicals in your home?! We offer both green cleaning and natural cleaning. Call and ask the difference today! Your safety and security comes first! We offer different levels of cleaning services to Muskoka! Deep cleaning or maintenance cleaning. All services are provided case-by-case to meet and exceed our clients expectations. We provide: residential cleaning service. Cottage cleaning service. From recurring cleaning services, spring cleaning, move in/out cleaning, one-time cleaning and post construction, renovation cleaning to commercial cleaning. Our training process equips our cleaners with proper knowledge and skills for a thorough and sanitary cleaning. With every job, our cleaning staff will go above and beyond what is expected of them and produce high quality customer service with hygienic cleaning results. When it comes to Complete Cleaning Service Muskoka, our number one goal is customer satisfaction! We arrive equipped with our own cleaning supplies to leaving your home spotless after each and every visit. We make house cleaning as hassle-free as possible! Complete Cleaning Service Muskoka supplies everything from mops, rags, vacuum cleaners and cleaning products. We can provide green cleaning and natural cleaning. No charge for travel within the Muskoka District. 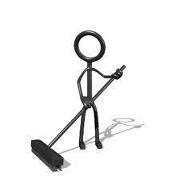 No cleaning job is too big or too small for complete cleaning service Muskoka, we look forward to your call! Check out our social channels, where you can check out our team and cleaning jobs! Twitter/Facebook/Instagram @muskokaclean Your Complete Cleaning Service in Muskoka! *Ask us about packing and moving. We focus our service on Gravenhurst, Bracebridge, Port Sydney, Torrance, Bala, Baysville, Glen Orchard, Port Carling, Port Sandfield - Muskoka Lakes. Rosseau and Seguin areas.